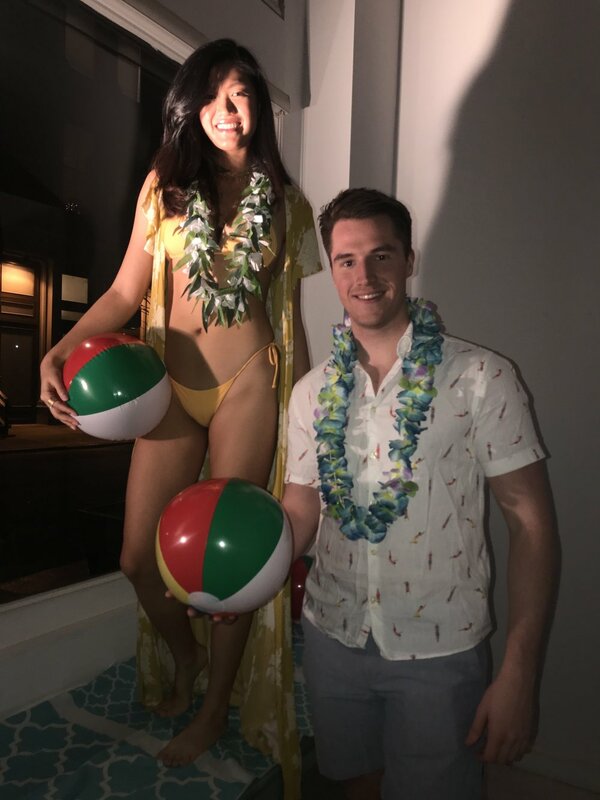 If you escaped the NYC winter and ventured into the small venue on Lispenard street on January 26th 2019, you would have been met by a hula girl and surfer dude playing with a beach ball and posing by the front door with warm smiles. A DJ in the corner of the room blasted techno music and a slide show of luxurious homes and beaches played on the back wall as a handful of writers, bloggers and marketing strategists trickled in from the cold. Servers offered juicy fried shrimp and other hors d’oeuvres to the guests. The event had specialty themed cocktails, such as Tropical Rum Punch (Big Island, Hawaii), Premium Margaritas (Cabo San Lucas, Mexico), and locally sourced fine wine from the Mendocino region. And to top it all off, a Photo Booth with fun accessories was available for guests to take silly photos. The event was hosted by David Appel, Tara Dekel and Owen Cohen as a “coming out party” for their luxury travel company, Destinations in Paradise. The three retired entrepreneurs go to sites in Cabo, Mexico, Big Island, Hawaii, and Mendocino, California and refurbish homes for vacationers to rent out. The sensational villas feature exceptional, modern architectural design and glamorous landscapes for a lifetime getaway. Their goal is for guests to feel pampered in these upscale homes throughout their stay. What makes this business unique is that these sites are, as Cohen says, “off the books”. They are in private areas that allow guests to have a luxurious experience in solitude and take a break from the outside world. It is for “people who want a little more privacy”, Appel explains. Additionally, several of the homes have special attractions. For example, Appel and Cohen explain, in Cabo they have refurbished a home that is the only place in the area big enough for a 300-person wedding.